Facial fillers are a safe and effective way to take years off your appearance with minimal discomfort or downtime. Injected into the skin to add volume and smooth away wrinkles, lines, furrows and skin folds on the face, facial fillers are a safe and effective way to take years off your appearance with minimal discomfort or downtime. Most facial fillers are made of hyaluronic acid, a natural complex sugar found in all cells and one of the major components of the dermis connective tissue. Young skin has an abundance of hyaluronic acid, but over time, sunlight and other factors greatly reduce the amount. The loss of hyaluronic acid causes the skin to lose volume and the ability to support its outer layer, resulting in wrinkles and folds. By reintroducing hyaluronic acid back into the skin, you can smooth away the signs of aging by recreating lost volume. Many facial fillers also help the skin produce its own natural collagen for long-lasting results. Collagen gives the face its volume, flexibility, and strength. As part of the aging process, collagen breaks down, resulting in wrinkles and loose skin. Facial fillers reverse the signs of aging by reintroducing collagen and supporting new collagen growth. 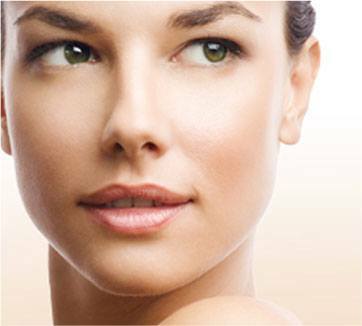 At RTH we offer a variety of facial fillers to achieve both instant and long lasting results. Based on your skin type and desired outcome, our dermal filler experts can help you identify the right product for you. A thorough consultation is an important first step when deciding if dermal filler treatments are right for you. We thoroughly discuss your desired results and provide an honest, professional opinion on how best to achieve those results. We also make certain that you are a good candidate for treatment, taking into account your skin type, age, health, medical background and other factors that could affect the safety and effectiveness of your treatment. All of our consultations are conducted with the goal of making sure our patients feel comfortable, confident and informed about dermal fillers. Dermal filler is used to reverse the effects of aging by reducing or eliminating wrinkles and replacing soft-tissue loss. Dermal fillers are injected into the skin through a simple and safe injection procedure. As with all injection treatments, there may be some discomfort. We can provide a topical anesthetic or a dental nerve block to increase your comfort level. Results vary based on skin type and skin condition, but patients typically enjoy a significant reduction in wrinkles, fine lines, furrows and skin folds. The overlying skin is smooth and wrinkle-free, providing a fresh, youthful appearance. 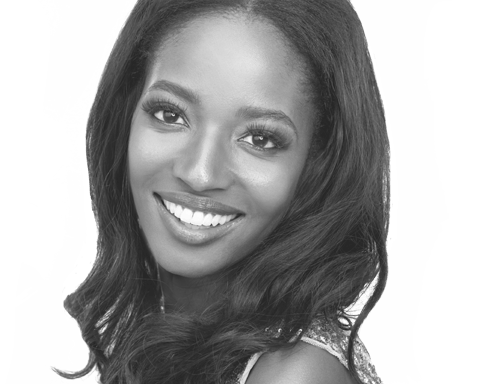 Q: Are dermal filler treatments right for me? If you want to erase stubborn lines, wrinkles and skin folds on your face, dermal filler treatments may be the right option for you. Candidates must be in good health with no serious medical conditions that could create complications. As we age, our skin cells become thinner and less sticky. The thinner the cells become, the thinner our skin appears. The decreased stickiness of the cells reduces our skin’s ability to retain moisture, causing it to become dry and thin. The skin is then less able to produce collagen, and the elastin fibers lose their elasticity, both of which result in sagging and wrinkles. Q: Why choose RTH Plastic Surgery for my dermal filler treatments? When choosing a cosmetic professional for dermal filler treatments, there are three important qualifications to consider: training, experience and personal attention. Dr. Hajjar is Board Certified by the American Osteopathic Board of Surgery in plastic and reconstructive surgery. Above all, your cosmetic professional should be someone you trust to deliver exceptional results and perform a safe and effective treatment. At RTH, our cosmetic technicians are dermal filler specialists with years of experience performing these treatments. We spend the necessary time with every patient to answer any questions and address any concerns. We make it a priority to ensure our patients are well-informed and completely comfortable with their decisions. We know that your time is valuable, which is why we maintain an efficient treatment calendar and use the latest techniques, products and technologies to maximize your results. Q: Will my insurance cover dermal filler treatments? Insurance companies commonly do not cover elective or cosmetic treatments like dermal fillers unless they are performed to correct a medical or health condition. If you plan to use insurance as payment, we strongly suggest consulting with your provider to discuss if the treatment is covered in part or in full by your current plan. Q: Will my dermal filler treatment results look natural? Dermal filler treatments are minimally-invasive, providing results without the need for any surgical procedures, thus eliminating the possibility of scarring or other signs that a treatment was performed. During your consultation, we will thoroughly explain what results to expect. The longevity of results varies, but typically you can expect most dermal filler results to last six months to a year depending on your skin type and skin condition. Some dermal fillers offer much longer lasting results. For sustained results, we suggest occasional touchup treatments. Q: Can I have additional treatments in combination with my dermal filler treatment to enhance results? Yes, your RTH doctor can recommend additional services that may enhance your desired results including other wrinkle reducing treatments like chemical peels, laser skin resurfacing or microdermabrasion.